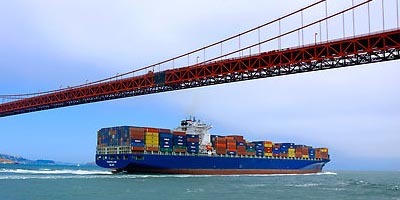 In 1997, AIC formed a partnership with the California Department of Food and Agriculture, Agricultural Export Program to develop more accurate estimates of California’s agricultural exports. This project was initiated in response to well known problems with existing sources of state level export statistics and demand for more accurate data. State export data can be important for analyzing California’s potential markets, for helping marketing organizations and government agencies develop strategies, and for understanding foreign economic trends that may affect domestic markets. AIC generated a commodity-specific methodology, focusing primarily on 50 California commodities, and expanding to 55 commodities in 2005, which together account for more than 90% of the state’s farm production value. For each of those commodities AIC used a variety of data sources, combining formal operations and informal adjustments depending on the commodity and industry. Industry sources were helpful, either providing explicit export data or guiding us to other sources. The first year of the project yielded export data for 1995-1997. Since then, AIC has updated the data set and improved some of its estimation techniques and revised earlier estimates, based on advice from industry and academia.